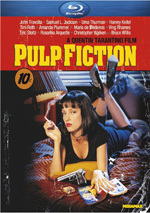 Back in 1996, a film from director Chuck Russell and actor John Travolta would�ve been a reasonably big deal, as both enjoyed borderline �A�-list status at that time. In 2016? Not so much, which might be why I Am Wrath went straight to video. The absence of a theatrical release doesn�t automatically make a movie bad, though, so I figured Wrath deserved a look. Gang members kill Vivian Hill (Rebecca De Mornay), an action that understandably leaves her husband Stanley (Travolta) distraught. To make matters worse, the perpetrators escape justice due to the sleazy shenanigans of corrupt police officers. Unsatisfied with the outcome, Stanley � a former Black Ops agent � takes the law into his own hands. As I mentioned earlier, Russell enjoyed his most successful period in the 1990s, as flicks like 1994�s The Mask and 1996�s Eraser brought him to prominence. Demonstrated by Wrath, Russell seems to remain hung up on that era, as the film feels like something from a director who lacks signs of growth. Actually, the Russell of Wrath seems to have regressed, as he worked better in earlier years. Mask was a pretty fun action-comedy, and 1987�s Nightmare on Elm Street 3 may have been the franchise�s best. The 80s/90s Russell occasionally showed a spirit and irreverence absent from the lunk-headed Wrath. Maybe the �good Russell� died with Eraser, as that blockbuster suffered from a distinct lack of life and vivacity. These same issues plague Wrath, a wholly pedestrian effort that desperately needs a little sense of self-awareness. Instead, the movie plays everything utterly straight, a choice that makes it feel out of touch with itself. Not that I wanted or expected Wrath to offer some sort of comedy, but the movie needs a better reflection that the tone-deaf action heroics that worked in the 80s and 90s seem off-kilter today. No recognition of these changes appears in Wrath, so the end result feels oddly dated. Travolta also seems miscast as the lead. He lacks the edge for a tough guy role like Stanley, so he leaves a hole in the center of the film. He feels totally unsuited for this kind of badass personality, and he robs the movie of any sort of power or drama. 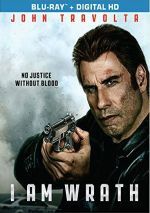 Travolta also sports one of the worst wigs to hit movie screens in a long time. Sure, the actor has donned even uglier/less convincing faux hair in real life, but still � his �do looks so phony that it becomes an active distraction. Add to that a story packed with trite plot points and predictable surprises and Wrath disappoints. The movie could�ve provided a strong revenge thriller but it ends up as limp and misguided. I Am Wrath appears in an aspect ratio of approximately 2.40:1 on this Blu-Ray Disc. This was a good but unexceptional image. Overall sharpness seemed fine, though occasionally lacking. In particular, interiors could seem a little on the soft side. Still, overall clarity was fine. No issues with jagged edges or shimmering occurred, and I noticed no edge haloes. Source flaws were absent, as the movie looked clean. Like most films of this sort, Wrath gave us a teal/orange-tinted palette. Within those parameters, the hues were positive. Blacks seemed deep and dark, while shadows showed good smoothness and clarity. Most of the movie offered positive visuals. As for the DTS-HD MA 5.1 soundtrack of Wrath, it lacked a ton of ambition. The soundfield focused on music and ambience, though it opened up on occasion. For instance, violent scenes became more involving, and a few others added some zest. Nothing especially memorable occurred, though, so the soundscape felt a little subdued for a thriller of this sort. Audio quality was fine. Speech seemed natural and concise, without edginess or other issues. Music offered good clarity and range, and effects worked well enough. They didn�t have much to do, but they appeared reasonably accurate. All of this ended up as a perfectly acceptable soundtrack. Only one extra comes to us: an audio commentary from director Chuck Russell and writer/actor Paul Sloan. Both sit together for this running, screen-specific look at story/character areas, cast and performances, music, stunts and actions, locations and sets, and connected domains. At times, Sloan and Russell offer some good insights, as useful material pops up periodically. However, a lot of the track exists to praise the film and all involved. The semi-constant happy talk makes this an erratic commentary. The disc opens with ads for Criminal, Extraction, The Trust, Manhattan Night and The Forger. No trailer for Wrath shows up here. Not much about I Am Wrath works. Its star seems badly miscast and its director shows no signs of artistic growth since his peak 20 years ago. The Blu-ray presents mostly good picture and audio along with a spotty commentary. Wrath lacks any obvious positives and winds up as a banal, misguided attempt at a thriller.